For more than 30 years, Jim Green has worked widely in South Asia, Southeast Asia, and China as a project director and rural development specialist. Jim has worked closely with all the major donor agencies, including the U.K. Department for International Development (DFID), the European Commission, the Asian Development Bank, the World Bank, and the Millennium Challenge Corporation. He started his career as a DFID young professional and was posted to Nepal as an agronomist on a research station in the Eastern Hills. After joining Hunting Technical Services in 1985, he worked in Indonesia on a DFID-funded irrigation project. He spent the next 10 years on long-term rural development assignments in Bhutan and Bangladesh. 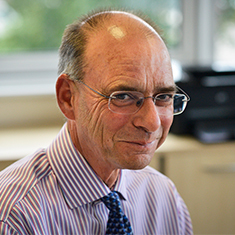 In 1995, Jim returned to Hunting’s successor company, HTSPE, to head the Asia Division, responsible for business development and programme management in the region, in addition to his technical work as a rural development specialist. He has worked extensively in South Asia (Bangladesh, Nepal, Pakistan, and Sri Lanka), Southeast Asia (Cambodia, Thailand, and Vietnam), the former Soviet Union (Kyrgyzstan, Mongolia, and Russia,) and China. He has also managed large land programmes in Mozambique and Rwanda. His technical interests include Asian agriculture, with an emphasis on Himalayan systems. Jim is currently providing management support to the DAI Europe Project Management Unit and has oversight of six senior project directors.